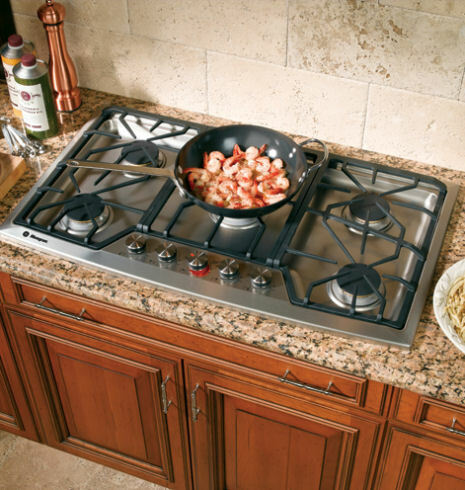 ------- An electric cooktop is a cooking appliance that uses surface heating elements powered by electricity. The heating elements are controlled by switches that regulate the electric current reaching the heating elements. An electric cooktop operates on a 240/120-volt circuit--240 volts for the heating elements and 120 volts for the clock, light, and other accessories. An electric cooktop may be part of a large appliance called an electric range or stove that also includes an electric oven. The control system for an electric cooktop may include a motorized timer and lots of dials, or it may be all digital. Refer to the Electric Oven Fix-It Guide for an illustration of a typical electric cooktop and components. What Can Go Wrong? Electric cooktops last a long time, but they can eventually fail. Elements can burn out. Switches and burner receptacles can fail.